Nipun is a Bangladeshi Actress. She was born Borura thana Jalgaw village. Nipun completed HSC from Nohkhali and SSC from Comilla women’s college. Nipun finished B.Sc computer science bachelor degree from abroad Russia. After that, she won DV lottery and went to United States of America. She worked a pharmaceutical company in New York. Nipun stayed United States of America since six years. Her father name Monsur Ali (late). Her father was Bangladesh government service holder and mother was a school teacher. Her mother home district is comilla. Her elder sister name is Polin and small brother name is Shorov.She is living Dhaka now. She likes acting. Her first flm was Pitar Ashon directed by F I Manik. 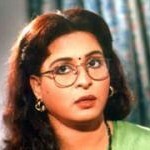 She was acting more film such as Saaj Ghar, Rickhawalar Prem. Rickhawalar Prem was very popular and commercially success. From childhood, she practice dance, drama act and work with cultural programs. She traveled many district in Bangladesh. 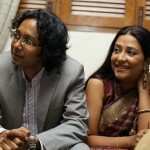 Nipun won BABISAS Award, DCRA Award and also won best actress Award 2007. HI Nipun. i like your acting but not u. any way good luck for your next film. gaining readers is the hardest challenge for a blog. how many rss readers do you have? if you could give me some feedback on my blog id appreciate it. Nipun… u r the good actress.and u are the most beautiful actress which i never seen in bangla flim.u r so cute and perfect for our flim industry. i hope u best in ur profession..if i make my flim which is in my aim i already select u.see u soon.i like u very much. Hi,How r you? Obviously fine. Will you make a friendship with me? Thanks and have a nice new Bangla Borshoboron…………………………………..
Hi nipun, how are you ? i want to your freind. hi, you really nice girl. make work to do improve our bangle film. thanks. I am Ajit from Agartala, India. Really you are beautifull as well as your acting. 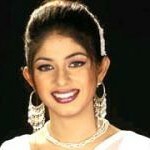 I can’t beleve it that such type of talented actress in Bangladesh. I still love u & I will. Nipun I want to making friend with you.